And the 2007 Popular Readers Award Goes To. . . Mind you, being back in 2007, I was just getting into using a digital camera, and the quality of the pictures wasn’t that good. Still, the little video in the post that shows the tree falling down and a limb narrowly missing our crazy lumberjack seems to have been a hit! Lucky that it didn’t hit him in the head! For myself, I have a special fondness for a post on Rambling to the Smoky Mountains. The picture I took of an elk . . .
. . . caught the eye of the people building the new Oconaluftee Visitor Center that is north of Cherokee, North Carolina. They used it as part of the “Protecting Park Resources” storyboard. I’ve got pictures about seeing the picture at the Oconaluftee Visitor Center here. And In 2008. . .
No doubt this post caught more people’s attention than any other, just because most people have never seen one of these strange plants, the Voodoo Lily. This unusual plant is actually thermogenic, or produces heat. The warmth and the awful smell attracts flies and other bugs, which are this plants preferred method of pollination. Thankfully, the plants were some distance from the house so the smell or the bugs weren’t a problem. We used to have a big colony of them above the farm pond. Alas, once the pond was dug bigger, the colony has gradually dwindled, and this spring we didn’t see a single plant, let alone any blooms. Wow, there are too many posts to sort through, trying to find one of the more popular posts. This one was at least solidly in the “unusual” category, with a picture of a fish in the woods. Yes, that was really in the middle of our woods. 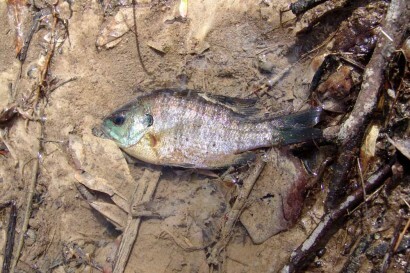 Whenever it floods, the creek overflows into the woods, and this fish was stranded in a little puddle of water. Fortunately for said fish, a human found him and threw him (her?) back into the creek. One more for 2009. . . 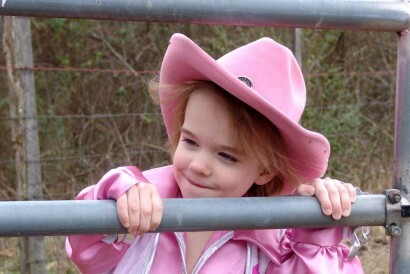 But without a doubt, THIS has to take the prize for the absolute cutest picture I took in 2009! Man, it’s hard choosing these pictures, but this one stands out as totally strange. This so-called Chimera Chicken Bird picture looks like a bad Photoshop job. But the truth of the matter is… the picture of the actual chicken has not been retouched at all. 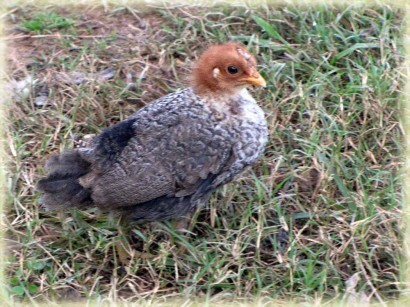 This creature started out as a little brown chick that morphed into this strange looking teenage mutant chicken. Looks like this post needs to be a two-parter! Stay tuned for part two of the popular pictures and posts of Rural Ramblings, with 2010 to now!